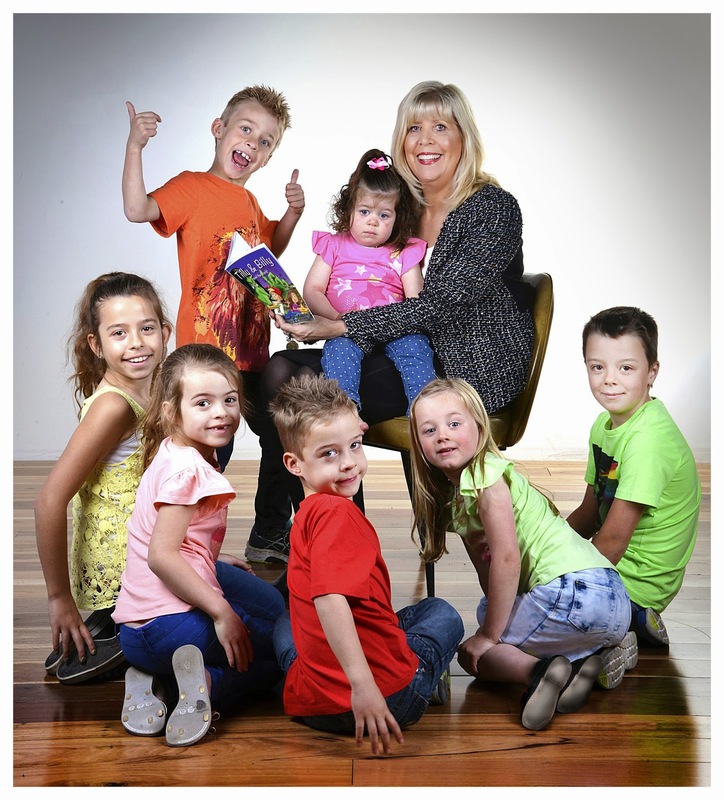 Kids’ Book Review is pleased to welcome Dawn MacKenzie – nurse, midwife, author and grandmother of eight – as she shares how reading with her own grandchildren inspired her to write stories for children. Grandparents have bucket loads of love and time to give to their grandchildren. There is no better gift to give than the joy of books and education. It is a time of bonding, listening and communication. Grandparents are from an era of books and storytelling that is a diminishing craft. Passing an appreciation of this interest and skill on to the next generation provides an extra dimension to their lives. Hard copy books are competing with computer games, e books, apps and DS devices. There is room for both formats, so it is important that the grandchildren have an appreciation for hardcopy books and the grandparent learns about reading tablets and other electronic devices. From a few months of age, I shared books with my grandchildren so that they could have a tactile experience and gradually learn to turn the pages. It is a wonderful experience to have infants and children with you while you read their favorite story to them. Experts indicate that a positive relationship between a grandchildren and grandparents, particularly in relation to reading, is good for the children’s brain development and provides a sense of security. Many years ago at our holiday house, I was reading to my grandchildren but it wasn’t long before they became restless and disinterested in the story. I suggested that we all take turns and make up a story. I chose to go first so as to guide the concept. This experience stayed with me because the session suddenly came alive with animation, grand exaggeration, laughter and enthusiasum. The next night it was story time again and everyone was excited to get the chance to tell his or her story. From that evening forward, I decided to write books for boys and girls and filled with stories that were imaginative, fast moving, humorous and stimulating. My kinder and school-aged grandchildren have a love of reading. They enjoy telling me stories just in case I wanted to write one of their stories down. Perhaps one day I will. My eldest grandchild now wants to write her own stories and the younger ones volunteer their ideas to me future books. Some of their ideas are suitable and will appear in my stories. After all, my aim is to truly understand the mind of children and provide stimulation, education and excitement that appeals to them. Dawn MacKenzie is the author of the new junior fiction adventure series. 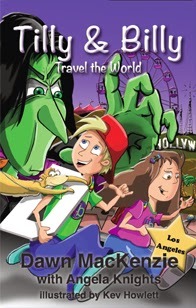 The first book, Tilly and Billy Travel the World, written with Angela Knights and illustrated by Kev Howlett, was published on the 1st December 2013 by Busybird Publishing. Visit the Tilly and Billy Travel the World Website to find out more.